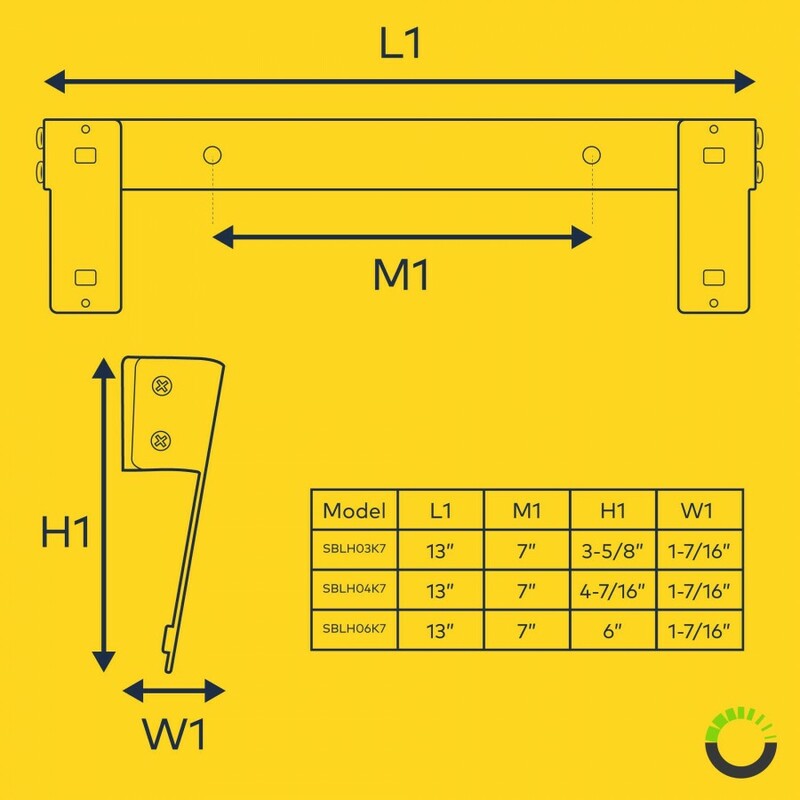 Simplifies installation of the SBLH06 lightheads. LAMPHUS® SolarBlast™ SBLH06 Lighthead Vertical License Plate Mounting Bracket. 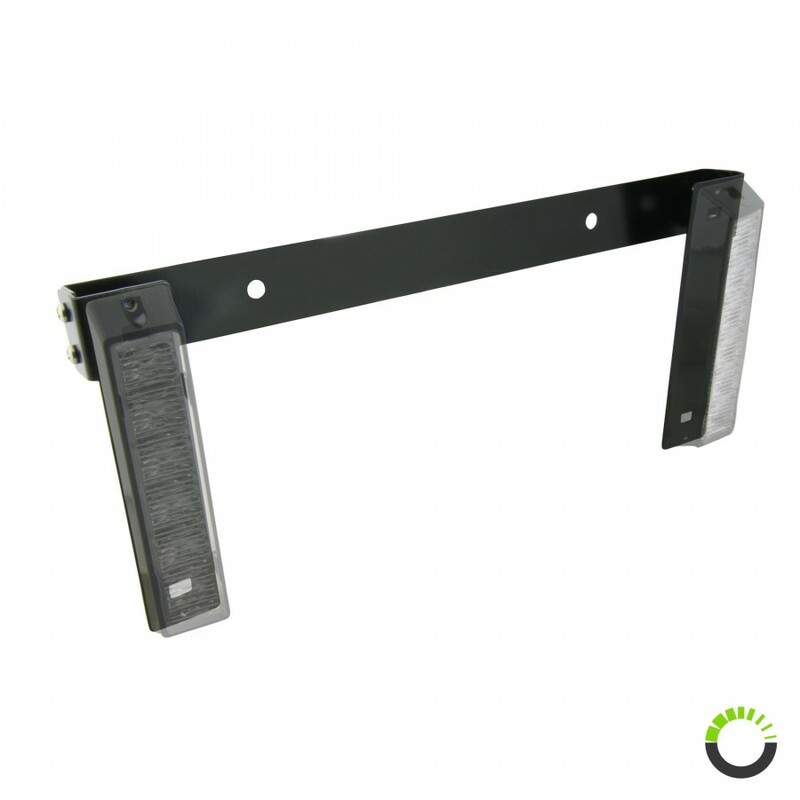 This mounting bracket is meant for two units of the LAMPHUS® SolarBlast™ SBLH06 Lighthead (SKU: PSZLEDSTB0431). It allows the lightheads to be mounted in a vertical orientation right next to the rear license plate of a vehicle. 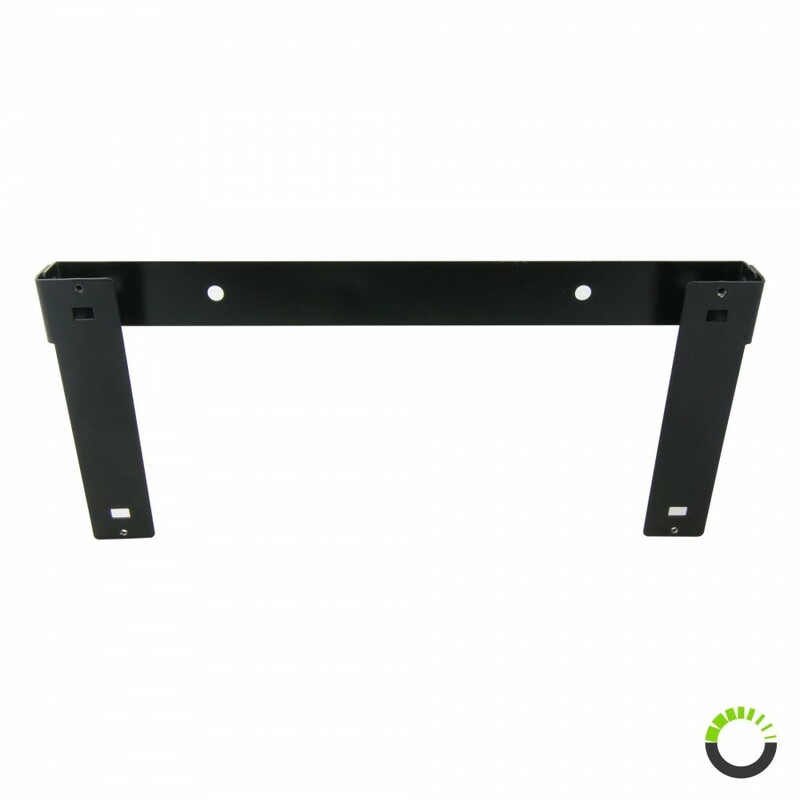 Constructed with powder coated durable aluminum, this rust resistant license plate mounting bracket greatly simplifies how the lightheads can be utilized for meeting traffic visual warning. 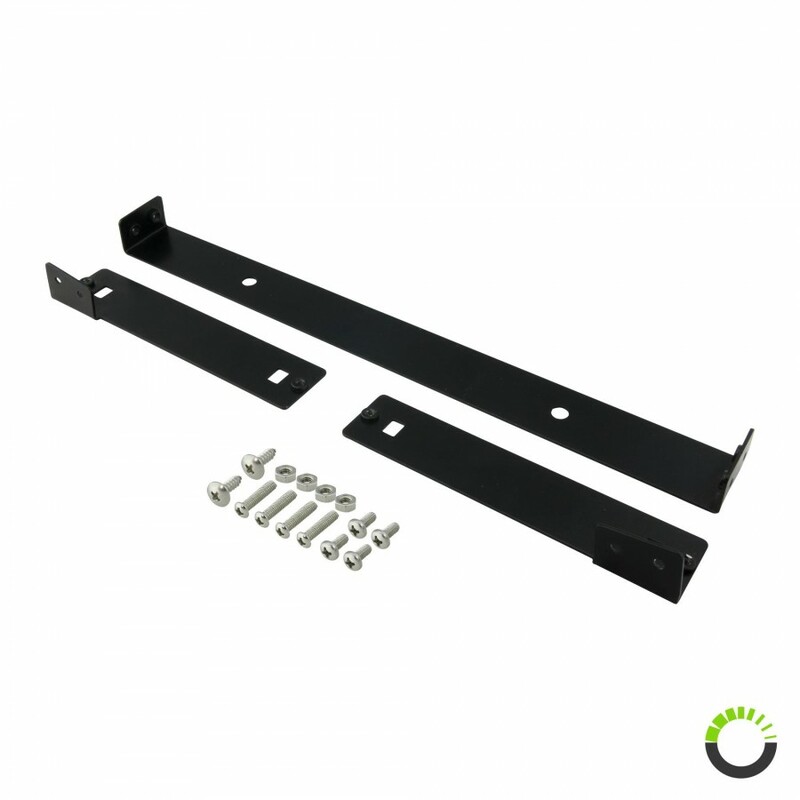 Mounting nuts and bolts for the lightheads and bracket included with purchase.